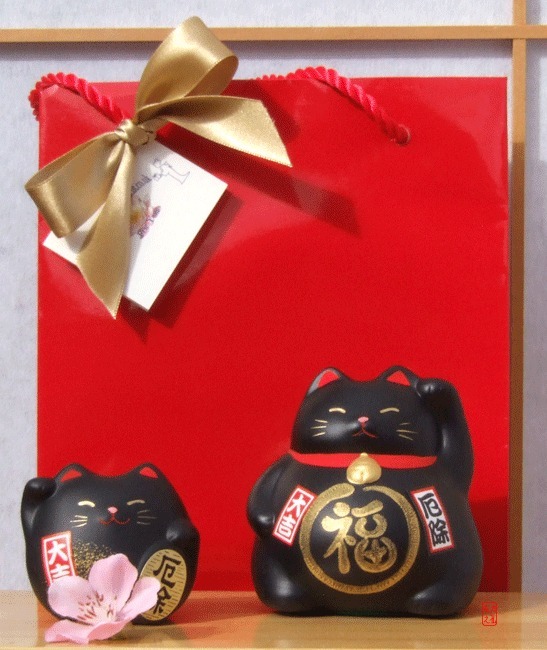 The cat has a mat black glaze and the cat has its right paw raised to bring in prosperity in to your home. Size of medium cat: approximately 9cm in height and 8cm in width. Size of rounded cat: approximately 6cm in height and 7cm in width.